Free Printable - "November 2011 Calendar" for Christmas TV Schedule! Wait for it to Load and Print!!! More Printables to Come ... (if this one works out well!) including - a December Calendar, (coming next week! ), and Much More!!! Please let me know what you think of the Calendar and if it Prints alright for you! The Natural starring Robert Redford, Robert Duvall, Glenn Close, Kim Basinger, Wilford Brimley. For a Film Literature class I had years ago... we read the book before watching the movie and of course we had to write a paper that contrasted the differences between the two. They are very different stories - one concludes happily with a home run hit and the other - a strikeout! The movie is rated PG - but I think it's better suited for adults. It's a classic for any baseball fan - to watch Roy Hobbs, this young boy with a dream - become a man and ultimately fulfill his dreams. Field of Dreams - starring Kevin Costner. Interesting and deeply Emotional! I've got to say it.... "Build it, and they will come!" Wonderful story about the relationship between fathers and sons and their love for the game. The Rookie - Great family baseball movie starring Dennis Quaid. Rookie of the Year - Funny baseball movie for kids! Angels in the Outfield & Angels in the Infield - Full of Spirit! ...Two More Funny baseball movies for kids! 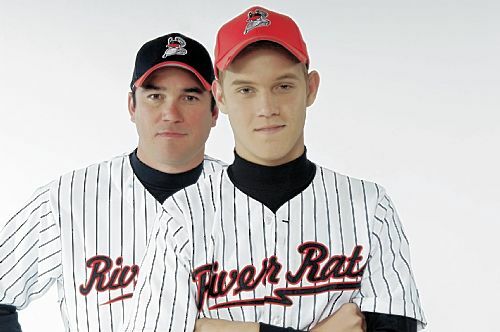 The Final Season - Great Baseball Movie about a determined Baseball Coach and his devoted Team. I love just about everything about the sport of Baseball... it's Americana as Apple Pie! I love to hear our Anthem played so proudly before the game begins and I am grateful they continue to sing, "God Bless America", in the middle of the Seventh Inning. 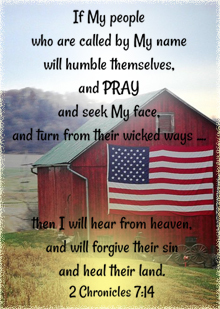 It's not only beautiful, but encouraging, inspiring, and a plee from the hearts of all true Americans that God will, indeed, continue to watch over and bless this great land, that we Love! Knowing that the 'Greats of all Time' - played this same simple game - and it has carried over from generation to generation - through good times, and bad times... Baseball remains one of America's Favorite Past Times! Enjoy the game tonight... "Play Ball !" *Find these Baseball Movies on DVD, and Many More - Click Here! It's that time of year, again! Don't Miss it! The Annual Special - It's the Great Pumpkin, Charlie Brown, airs Tonight - October 27, 2011 - on ABC at 8 PM est. (Yes, I know, "Oh, Good Grief"... it airs opposite of Baseball - the World Series Game 6 on Fox! ((Go Texas Rangers!)) If you just can't turn the game, You can also download it online and watch it on instant video! I don't typically promote Halloween programming - as the focus here at It's a Wonderful Movie remains mostly on all of the upcoming Christmas TV Movies, however, we just had to make an exception for Charlie Brown, Linus, Lucy, Sally, Snoopy, and all of our favorite characters in the Peanuts Gang! They know how to make all of the Holidays fun for children and families! ABC will also be airing You're Not Elected, Charlie Brown in this hour long special! Enjoy the show! The Mandie Book Series - Movies on TV! In 1899, Mandie's life changes when her Cherokee friends help her escape to a mansion that holds the hidden secrets of her past and the key to her future! "Mandie And The Secret Tunnel," is the first feature-length movie based on the Mandie books written by Lois Leppard. Set in the early 1900s, this series boasts a delightful cast of characters who, in the tradition of Little House On The Prairie and Anne Of Green Gables, learn valuable lessons as they conquer hardships and celebrate life's triumphs. Movie also stars the ever delightful and wonderful Disney actor of Snowball Express, Herbie the Love Bug, That Darn Cat, etc.. Dean Jones! Though Mandie Shaw is forbidden from interfering with Uncle John's imminent journey to keep an old promise, travel plans change when Mandie's long-lost mother, Elizabeth, shows up on the scene. Suddenly, Uncle John and Ned have a pair of partners along for the ride, which keeps turning more dangerous the more Mandie learns about her uncle and the terrain. New friends jump in to solve the trail of riddles surrounding the Lost Antler Cave Mine, landing Mandie and her sidekicks in a series of near-misses and wild scrapes. Then, as Mandie gets closer to unlocking the mystery, she realizes the key will put her face to face with the one person she never wanted to meet. Movie also stars the ever popular Disney actress from Parent Trap and Pollyanna, Hayley Mills! The New Mandie Movie - "Mandie and the Forgotten Christmas" will air sometime during the Christmas Season on the ION channel. Click here to see all the Mandy Movies on DVD! Every year I just love catching National Lampoon's Christmas Vacation on TV - and it seems every year one of the networks plays it early and not just once, but numerous times... which I also love! "It's the Christmas star, and that's all that matters tonight. Not bonuses, or gifts, or turkeys or trees. and now I know what it means to me." "I dedicate this house to the Griswold Family Christmas." "Hercules Saves Christmas" takes us on a magical, fun-filled and touching journey. MAX MOOGLE, an adorable yet mischievous orphaned twelve year old boy is alone in the woods two days before Christmas. Max happens to meet a large talking dog named HERCULES. He explains to Max that he is the one who makes the naughty and nice list for Santa and he was sent to offer Max a chance at the “nice list." Max soon takes a magical ride to the North Pole and appears before SANTA in his courtroom, run by ELVES. Santa tells Max that in order to make the nice list, he must help RICK WILDER, a bitter man, find the spirit of Christmas. MAX is whisked off to the San Francisco Bay Area with Hercules. Unbeknownst to everyone but Max, Hercules is invisible to everyone but Max, which leads to many a comical encounter. Together, Max and Hercules leap into action in order to help Rick find the spirit of Christmas. 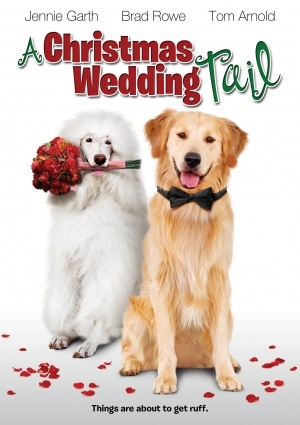 A Christmas Wedding Tail is the story of a pair of passionate pooches, Labrador Rusty and Poodle Cheri, who fall head-over-tails in love. The two smitten pups conspire to get their respective owners, Susan and Jake to wed. Despite Susan’s and Jake’s compatibility, their new blended family turns out to be more than Rusty and Cheri had bargained for. Now, the calculating canines must channel their pooch powers to keep their family from ending up in the dog house. There are lots of Great DVD Releases Today, including the Hallmark Channel Movie, Gift of the Magi and a new Peanuts DVD Release, Peanuts: Happiness Is... Snow Days ! Click her to see this Movie, Cartoon, and Much More!!!! "May your days be Merry & Bright!" *Please Note: this new premiere family movie, "Finding a Family" - will air on Hallmark MOVIE Channel and not the regular Hallmark Channel. As I mentioned to you all when the last movie premiered on Hallmark MOVIE Channel (The Cabin), I do not have this channel. 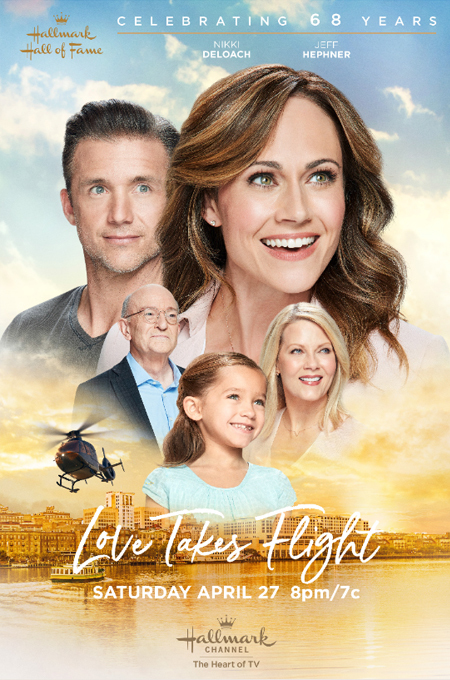 I asked for any of you who have the Hallmark MOVIE Channel, who were able to watch the movie - to give your Movie Review and received a great response. I hope many of you will do the same with this newest movie. Please visit the main page for Finding a Family, and scroll down to the comment box to leave your thoughts! From everything I have seen and read, this looks like it will be a good family movie... plus there will be a Christmas scene in it, too! 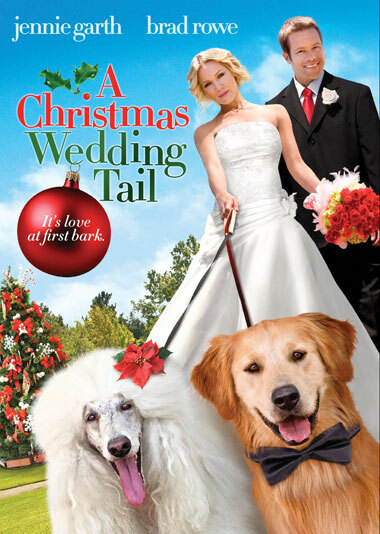 Please Hallmark Channel - play this movie sometime during Christmas time, too! Finding a Family is Available to Order on DVD. I have been a fan of Christian singer, Natalie Grant - for awhile now ! She has some really terrific religious songs, plus whenever I see her interviewed, she is always so bubbly and sweet. This movie, from the clips I've seen - seem to be a drastic change from the way we usually see her. This movie looks to be more serious and dramatic. See details on plot below.... plus I'v included You Tube Clips (below) of some of my favorite Natalie Grant songs... one just so happens to be titled "It's a Wonderful Life!" or Visit the Decision - Movie Review page. "ABC Family Countdown to 25 Days of Christmas" Begins November 20th, 2011! 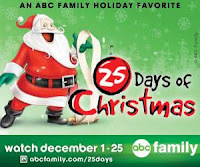 First, as mentioned in the above title, the Countdown to 25 Days of Christmas on ABC FAMILY will begin November 20th, 2011! That's the Sunday before Thanksgiving! "12 Dates of Christmas" premiering in December! Also, with these 2 new Movies, there will be other Classic Favorite Movies (National Lampoon's Christmas Vacation", "Dr Seuss' How the Grinch Stole Christmas," "The Santa Clause" and "The Polar Express", etc...) and our favorite Christmas Cartoons, as well! The Christmas TV Schedule has been updated with the New ABC Family Countdown to Christmas Movies from November 20th - November 30th. Stay Tuned for the actual "25 Days of Christmas" Movie List! Click Here for the updated Christmas TV Schedule. "25 Days of Christmas... Oh, I can't wait!" The Elf on the Shelf: An Elf's Story - New Cartoon Animation! *A new animated feature based on the best-selling holiday children's book! Nine-year-old Taylor McTuttle has reached a crossroads. Does he believe Santa Claus really knows who is naughty or nice? Does he even believe in Santa Claus anymore? An Elf’s Story is the inspirational tale of Chippey, the young scout elf who is assigned by Santa to restore Taylor’s belief in Christmas magic. When the boy breaks the number one Elf on the Shelf rule, Chippey loses his Christmas magic; the entire McTuttle family loses its scout elf, and both Taylor and Chippey lose their self-respect. Through the power of love and forgiveness, both of them learn that true belief cannot be taught. Destined to be a beloved family Christmas classic, An Elf’s Story is filled with fun, music and the timeless message that Christmas is something we carry in our hearts. The CBS Television Network will present THE ELF ON THE SHELF: AN ELF'S STORY, a new animated feature based on the best-selling holiday children's book The Elf on the Shelf, to be broadcast on CBS as a special presentation on Friday, Nov. 25 (8:30 - 9:00 PM, ET/PT). THE ELF ON THE SHELF: AN ELF'S STORY follows one of the many scout elves from the North Pole who helps Santa Claus determine who to put on the naughty and nice lists. Named "Chippey" by his adoptive family, the elf is assigned to help a young boy, Taylor McTuttle, who struggles to believe in the magic of Christmas. The Elf on the Shelf is a popular children's storybook created by Carol Aebersold and her daughters, Chanda Bell and Christa Pitts, who self-published the book through their company CCA and B. The story was inspired by an Aebersold family tradition featuring their own pixie elf, Fisbee, who appeared in their home every holiday season. Since 2005, The Elf on the Shelf has sold nearly two million copies. "Hoops and YoYo Ruin Christmas," A NEW ANIMATED HOLIDAY SPECIAL PRESENTED BY HALLMARK, WILL BE BROADCAST FRIDAY, NOV. 25 AT 8:00-8:30 PM, ET/PT, ON THE CBS TELEVISION NETWORK. Hoops and YoYo Ruin Christmas, a new animated special presented by Hallmark, follows the unexpected adventure of the comical pink kitty and green bunny team, Hoops & Yoyo, after they become accidental stowaways on Santa's sleigh. This holiday program will be broadcast Friday, Nov. 25 (8:00-8:30 PM, ET/PT) on the CBS Television Network. When Hoops & Yoyo - and their little friend, Piddles - wait up on Christmas Eve to catch a glimpse of Santa, their curiosity lands them in his sleigh shortly after he goes down their chimney. Unable to exit the sleigh before takeoff without being spotted by Santa, they soon find themselves caught in the time-space continuum that allows him to travel the world in one night. When turbulence jostles the trio from the sleigh, they fall through a wormhole and end up going back in time with a young Kris Kringle. After realizing they have disrupted Kris's journey to fulfilling his destiny, Hoops & Yoyo and piddles race to set things right so the world will have its Santa Claus. Will Christmas ever be the same? Will Santa ever be the same? Only time - and perhaps a little time travel - will tell. HOOPS & YOYO RUIN CHRISTMAS is a Hallmark presentation. "Hug Your GRANDMA Day" - Wednesday, October 12, 2011 ! I received this very sweet e-mail regarding a Programming Alert on INSP and I wanted to share it with all of you - plus, a very heartwarming video clip (below)! AND WHILE YOU'RE AT IT, WATCH A MARATHON FEATURING THE BEST EPISODES FROM ONE OF AMERICA'S FAVORITE GRANDMAS - GRANDMA WALTON! Isn't that precious? .... And if you follow my blog - then many of you will know how much I adore Grandma Walton, portrayed by the late actress, Ellen Corby! What a talent - and such a lovely family series! Enjoy, Everyone! ...And May God Bless all Grandmothers! I am so blessed - My Grandma is in her 90's and is such an Inspiration!!! Also, Thank You INSP for inspiring us with this Special Day! Saddle Up Your Horses - Flicka Movies New DVD Release + My Movie Reviews! Set amidst spectacular mountain vistas, this inspiring, coming-of-age story features an all-star cast, including country music star Tim McGraw, Maria Bello and Alison Lohman. All headstrong 16-year-old Katy McLaughlin (Lohman) longs for is to work on her family's mountainside horse ranch - yet her father (McGraw) insists she finish boarding school. So when Katy finds a mustang in the hills, she sets out to tame the horse and prove she can one day take over the struggling ranch. But when tragedy strikes, it will take all the love and strength the family can muster to restore hope, in this sweeping, heartwarming epic the whole family will love. A beautiful scenic film for anyone who loves horses or horse movies. The story is moving and touching. It was nice to see a story about a family - with both Mother and Father, working together to raise their children and work on their farm. Their daughter, Katy, is adventerous and headstrong - often going against her Fathers wishes. She is determined to train a Mustang, she has named Flicka. Katy sneeks out at night - when everyone is sleeping to work with the horse. Katy takes several falls off the horse, but always gets up again. When her father learns she has been training the horse, he decides it's time to sell it. Katy is again determined to get the Mustang, her beloved Flicka, back and prove her independence. In a wild mustang competition - she gets her brother to compete with her - and she catches Flicka and rides him out of the arena and out into the woods. However, on their way home, a violent storm rages, rain soaks them, and in the dark of night, Flicka is attacked by a cougar. They are both eventually found, Katy is sick and Flicka is weak. The question then becomes... will Flicka be able to survive or will Katy's Father put him down? In the end, Father and Daughter will finally come to terms with their differences and accept one another. It's a beautiful happy ending - I think you'll enjoy! I also love the Tim McGraw song, "My Little Girl". It is so beautiful! See, especially if you love horses. This year, the 123rd Rose Parade themed “Just Imagine...” and the Rose Bowl Game will take place on Monday, January 2, 2012 according to the Tournament of Roses’ “Never on a Sunday” tradition. In 1893, officials decided it would be best to avoid interfering with Sunday worship services and decided to move events to January 2nd whenever January 1st fell on a Sunday. The 123rd Rose Parade, presented by Honda themed “Just Imagine...” will take place on Monday, January 2, 2012 at 8:00 a.m. (PST) featuring spirited marching bands from throughout the nation, majestic floral floats, and high-stepping equestrian units. The parade will be broadcast on ABC, Hallmark Channel, HGTV, KTLA (Tribune), NBC, RFD-TV and Univision. Please... feel free to E-mail Me, if you have any suggestions, corrections, or information regarding Holiday Programming! Be sure to visit the Christmas TV Schedule 2011 for all of your "Thanksgiving", "Christmas", and "New Year" TV News! "Wind at my Back" is Back on INSP! "Wind at my Back" is Back ! I hope many of you will enjoy Wind at my Back with your family, as I have with mine! I wrote in a previous post (August 17 - INSP Fall Schedule) - that I was disappointed to see Wind at my Back go at 7 - so perhaps, they listened to many fans of the show who missed it, as we did, and decided to bring it back! Wind at my Back is Back!!! "Love's Christmas Journey" - will be a FOUR HOUR Movie Event!!! ...follows the last movie in the series- Love Finds a Home. It will be a Four Hour Movie this time - so be sure to set your recorders accordingly! The next chapter in the story is of Ellie King and her brother, Aaron Davis. Both are grown up children of Clark and Marty Davis. See the full Press Release below from Hallmark Channel! Please Note: before reading the press release below... It gives away quite a bit of the story and I know some people do not like to know all the details before watching a movie. So, if you want to be completely surprised, please do not read any further on this post. Instead, click on my Love's Christmas Journey page for more pictures, cast details, etc...! Natalie Hall (“All My Children”) and Greg Vaughan (“General Hospital”) star with Academy Award® nominee Sean Astin (“Kangaroo Court,” “The Lord of the Rings” trilogy), Academy Award® and three-time Emmy® Award nominee JoBeth Williams (“On Hope,” “Frasier”), Emmy® Award winner Charles Shaughnessy (“Stanley,” “Days of our Lives”) and Hollywood legend, Academy Award® and Golden Globe winner Ernest Borgnine (“Marty”) in the World Premiere of “Love’s Christmas Journey,” a Hallmark Channel Original Movie Event, Saturday, November 5 (8p.m. ET/PT, 7C). Inspired by Janette Oke’s award winning Love Comes Softly book series, the four-hour, star-studded movie event is an inspiring tale of love, trust and miracles. While still mourning the loss of her husband and daughter, recently widowed Ellie King (Hall) visits her brother Aaron Davis (Vaughan) and his children for Christmas. Ellie does her best to enjoy the holidays, even making new friends with Mrs. Thompson (Williams), a local shop keeper and handsome admirer Deputy Strode (Dylan Bruce, “The Bay,” “As the World Turns”). Settling in nicely with her brother’s family, Ellie also meets Erik (Bobby Campo, “The Final Destination”), a young man abandoned by his outlaw father whom Aaron has taken in as one of his own. 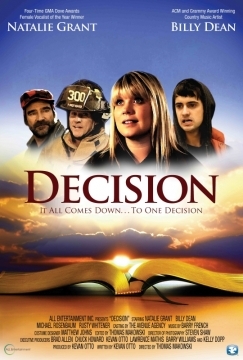 Ellie agrees to watch her niece and nephew when Aaron travels out of town to purchase adjacent land for farming. Weaver (Shaughnessy), a corrupt attorney, sees the Mayor (Astin) hide design plans for the town’s new railroad in his barn. Weaver sneaks in to steal the plans and inadvertently burns the barn down. Deputy Strode believes Erik to be the culprit, but Ellie believes Weaver is guilty and begins spying on him. Ellie breaks into Weaver’s office and discovers the missing railroad documents, but Weaver has followed Ellie and threatens her. Ellie is safe only because Deputy Strode has also had suspicions about Weaver and arrives in time to take the real perpetrator to jail. Ellie has more concerns than Erik. It’s been weeks since Aaron left to buy farmland and no one has heard from him. Ellie begins to fret. When all seems lost, Ellie receives a holiday miracle—her brother is delivered home safely on Christmas morning by a jovial man named Nicholas (Borgnine). Nicholas seems to have brought Christmas cheer to all as Ellie and Deputy Strode begin their romance in earnest. “Love’s Christmas Journey” is a Mediapool Production in association with Larry Levinson Productions. Larry Levinson is executive producer and Lincoln Lageson is producer. David S. Cass, Sr. directed from a script written by George Tierney. 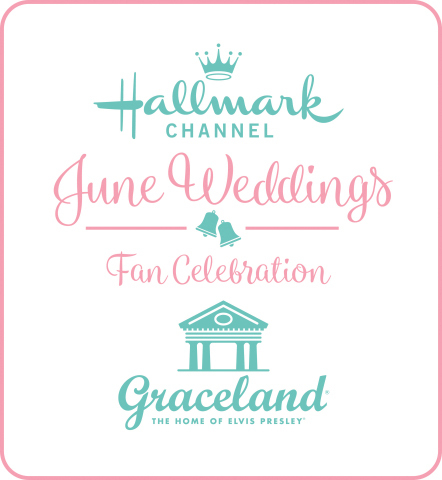 Hallmark Channel, owned and operated by Crown Media Holdings, Inc., is a 24-hour basic cable network that provides a diverse slate of high-quality entertainment programming available in high definition (HD) and standard definition (SD) to a national audience of 87 million subscribers. The top tier program service is distributed through approximately 5,492 cable systems and communities as well as direct-to-home satellite services across the country. Hallmark Channel is the nation's leading network in quality family programming with an ambitious slate of original TV movies, lifestyle and general entertainment content, and is the home of "The Martha Stewart Show", which anchors the channel's daytime original programming block. 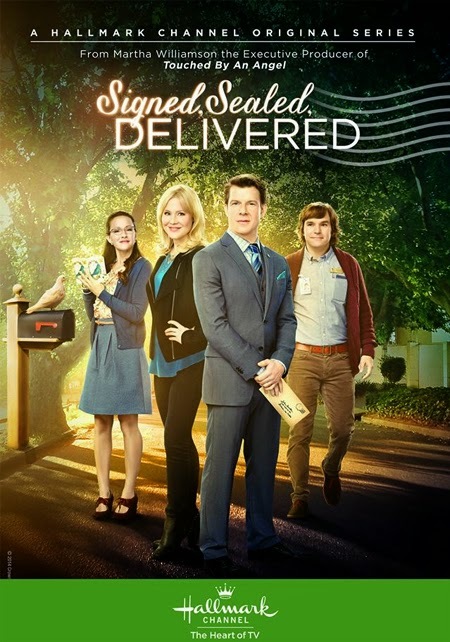 Hallmark Channel's sibling network is Hallmark Movie Channel, also available in HD and SD, which focuses on the family-friendly movies with a mix of classic theatrical films, presentations from the acclaimed Hallmark Hall of Fame library, original Hallmark Channel movies and special events. *Visit the "Love's Christmas Journey" Page for more Movie Details! 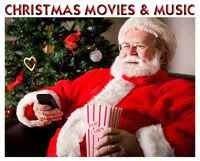 *Visit the New Christmas Movies Page for more New Movies like this! the prequel to “Love Comes Softly,” the first in a series of highly-rated “Loves” movies from Hallmark Channel. It is the story of Clark Davis falling in love with his first wife, Ellen. *Visit my Love Begins page for more movie information. In the second prequel to “Love Comes Softly,” when Clark’s beloved wife, Ellen, dies from scarlet fever, he and his daughter, Missy, must find a way to survive this hardship while also saving the barren land from drought. *Visit my Love's Everlasting Courage page for more movie information. By covered wagon, Marty and Aaron Calridge have come west in search of fortune. But unforeseen tragedy leaves Marty a widow facing bleak prospects for the future. With a bitter winter season approaching and no safe passage back home, she finds herself stranded yet befriended by settlers Ben Graham and his wife Sarah. They encourage her to take up widower Clark Davis on his unusual offer—join him in a temporary marriage of convenience. Marty will have a roof over her head until the spring thaw when she can return home. In the meantime, Clark’s nine-year-old daughter Missie, will have a teacher. *Visit my Love Comes Softly page for more movie information. Facing the risk of losing their crop, Marty and the kids pull together. But for nineteen-year-old Missie, life is offering something else as she discovers a new beginning of her own… two new suitors are vying for the attention of the lovely young schoolteacher. *Visit my Love's Enduring Promise page for more movie information. After two years of marriage, and with a child on the way, Missie and Willie LaHaye part with family ties to start a new life and new family of their own. As part of a wagon train heading west across beautiful, desolate country, their trek begins. *Visit my Love's Long Journey page for more movie information. Missie and Willie LaHaye have put down roots and raised a fine family in a homestead in the far West. While Missie fulfills her ambition for teaching twelve eager students, fours days a week, Willie tends to their youngest daughter Kathy, and with the help of his sons Jeff and Matthew, keeps their growing ranch as stable and prosperous as he can. *Visit my Love's Abiding Joy page for more movie information. Two years after the death of her husband, Missie knows that it is time to move on. She heads home with her son to be near her parents and to return to teaching. Certain she will never find love again. *Visit my Love's Unending Legacy page for more movie information. Living happily with her adopted parents Missie and Zach Tyler, Belinda Tyler has blossomed from a timid orphan into a confident young woman, a natural born caretaker who believes it is her purpose to serve her community as a doctor. But her resolution is tested when she falls in love with Drew Simpson, an attractive New York lawyer who expects a traditional wife and family back East. *Visit my Love's Unfolding Dream page for more movie information. Wounded by the recent death of her husband, Dr. Belinda Simpson arrives in the tiny town of Sikeston to take up the post of town physician. Once there, she discovers that many of the town’s residents, including children at an orphanage run by Miss Hattie Clarence, have fallen ill to or died from an unknown ailment. Ultimately, it’s clear that a little bit of faith – in oneself and in one another – can go a long way. *Visit my Love Takes Wing page for more movie information. The story continues of Belinda, a rare female doctor working in a quaint Missouri town. When her longtime friend and colleague, Annie, arrives so that Belinda can watch over her in the last stages of her pregnancy, Annie brings along her mother-in-law, Mary, a seen-it-all nursemaid whose homeopathic remedies and folksy wisdom are at odds with Belinda’s scientific knowledge. 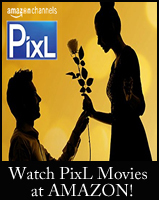 *Visit my Love Finds a Home page for more movie information. While still mourning the loss of her husband and daughter, recently widowed Ellie King visits her brother Aaron Davis, a sheriff in the small town of Haddonton, and his two children during the Christmas holiday. When all seems lost, Ellie not only gets the perfect holiday miracle, but also the chance at a new life, when she finds herself falling in love again. *Visit my Love's Christmas Journey page for more movie information. Each endearing story is about the faith, hope, and love of the Davis family! I hope you enjoy the list. 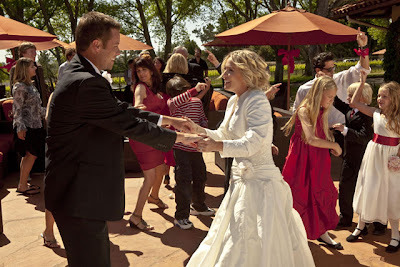 I do not know, yet, if there will be any more movies after Love's Christmas Journey.... We will have to wait and see!